I've been aware of Laurie Anderson since the 1980s, and she's just very cool. Always was, and is. 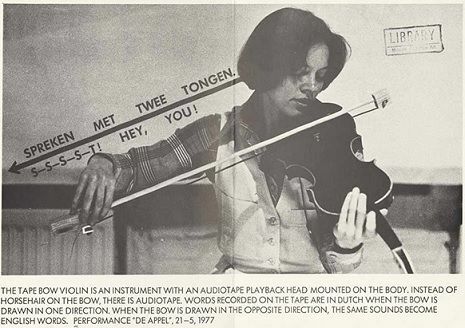 I was thinking about Laurie Anderson lately because the NYTimes ran an article about her. So I did some googling and I found this really cool image of her from 1977 (above). I would love to find the original image and make a poster out of it. And also this really cool video. You just have to love the openminded engagement of Laurie Anderson.